Hello there! Wow, I haven't been on here since 2010 and it was interesting reading what use to be on my profile! Let me update it, quite a lot has changed over the past 8 years! I'm a single mom to my awesome and totally bratty high school daughter who loves music and make up. I am a cat lover who collects ANYTHING cats, except more of them! 2 is enough, I've got a strict rule that cats can't out number people in the house! I am an HR Director for a large company here in South Florida and a weekend cupcake baker! Comment: Thank you for the awesome Washi Tape samples - they are all new to my collection. Take care! Comment: Mindy!! You sent so many cute things!!! LOVE the whale socks and "perfect man" chocolate bar. Hahaa! It's all so cute and thr packaging was fun too!! Thanks for making me smile on Valentine's Day!! Comment: Thank you so much for the beautiful vintage flip book!! I absolutely love it!!! I also love the vintage sewing things and the paper roses!!! Great job!!! Comment: Thanks for the re-send. Comment: Thanks so much for the re-send.. Comment: Thank you for your lovely comment! Comment: I love this pig!!! Thanks so much. Thank you for the extras too! Comment: Thanks for the your comment on my blog. You are welcome back any time: http://ksj1717.blogspot.com. 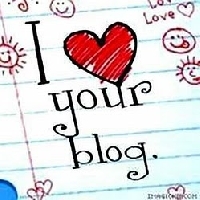 Comment: Thanks for visiting my blog!! I'll visit yours! IÂ´m hosting a swap for all the bloggers, please join us, just click in the image! Welcome to the Rubber Stamping group! Hi! I see that you like matchboxes so I wanted to invite you to join my new group matchbox & more. It's mostly about matchboxes of various kinds but there are some other kinds of swaps (such as whimsy jars & lucky parcels). I hope you'll come be a part of the fun! Thanks! The panda charm was the BEST!!! Awesome swap as usual!